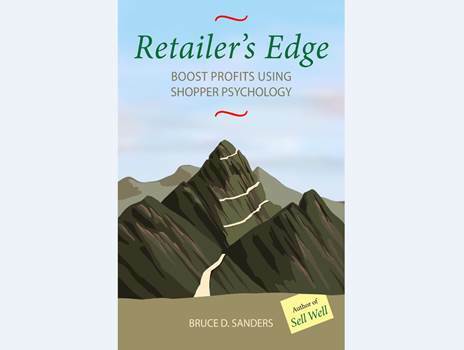 As a retailer, you’ll gain a profitable edge by knowing how your customers use the products and services you sell. This guides you in stocking items which will be most popular and in telling shoppers those benefits statements which make a sale most likely. For some examples of all this, peek into your customers’ bathroom rituals. Consumer rituals consist of the habitual ways products and services are used. Preparing for battle, in which we get ready to face the day. Brushing our teeth. Taking a quick bath or shower to wake up and be clean. Shaving. Sexing up, in which we aim to become our most attractive selves. From freshening our breath to painting our face and so on. Special products make us feel special. Returning to camp, in which we unwind. This is another ritual in which a bath or shower is common. But analysis of the study results indicates different benefits here than from the “preparing for battle” scrub, rinse, and dry. Here, we seek luxury and, often, solitude. Along with this, of the 5,000 people interviewed for the project, about 50% said their “returning to camp” ritual includes leisurely time spent reading on the toilet. But there are differences by country. In preparing for battle, about 75% of people worldwide shower or bathe, but among the Japanese, the percentage is closer to 25%. There are also differences by culture and religion. The devout Muslim is forbidden from reading while using the toilet and is to use only the left hand for cleansing. What does all this mean for you, the retailer? 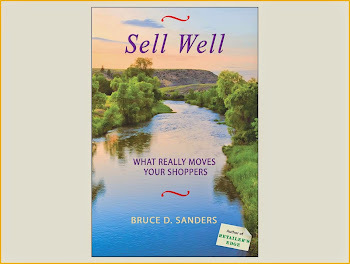 Carry products, provide services, and design environments to fit the motivators for different types of rituals. The type of soap sought by the consumer might be different depending on whether a person is preparing for battle, sexing up, or returning to camp. So offer all three types. 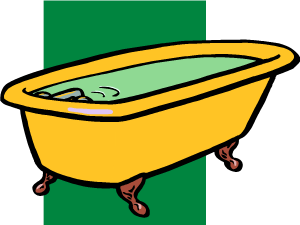 The bathtub ideal for returning to camp should also accommodate the quick cleanup the consumer will probably want when preparing for battle. As usual, you find the most interesting research to support your findings. I love the 3 bathroom rituals and can absolutely see the Mad Men characters 'preparing for battle'. Thanks for being part of Bathroom Blogfest 2010 and for making it so relevant to the retail experience.